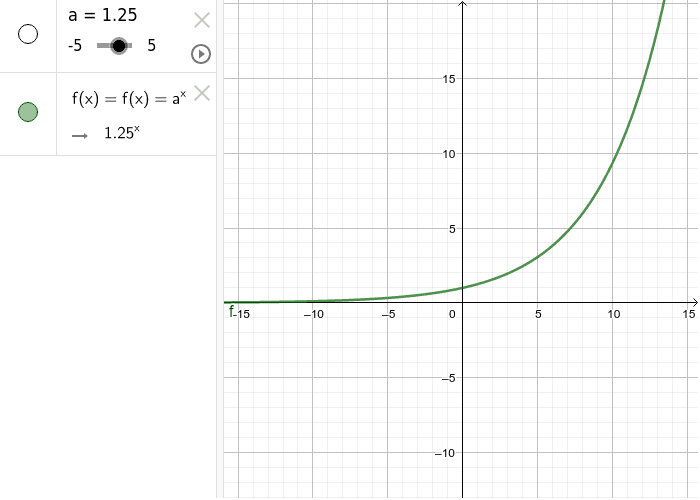 Today you are going to investigate the main properties of exponential functions. 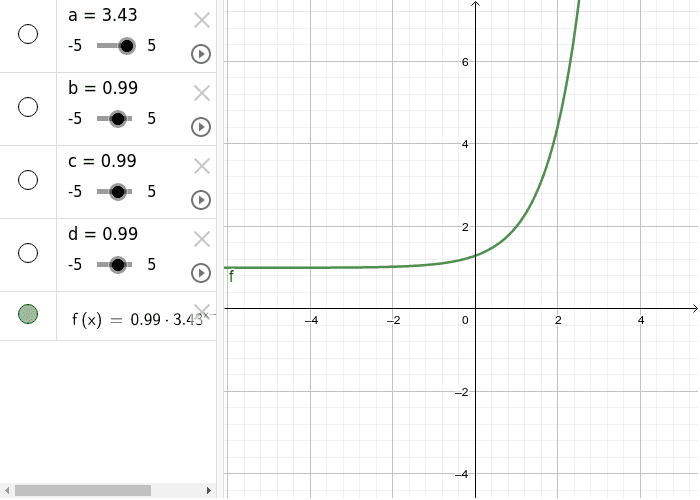 Using the applet above, please identify the y-int of the function, any asymptotes, the domain and range of the function. see if you can identify, what slider values/changes are needed for horizontal translation, vertical translation, reflection through x axis, reflection through y axis, horizontal stretching, vertical stretching.